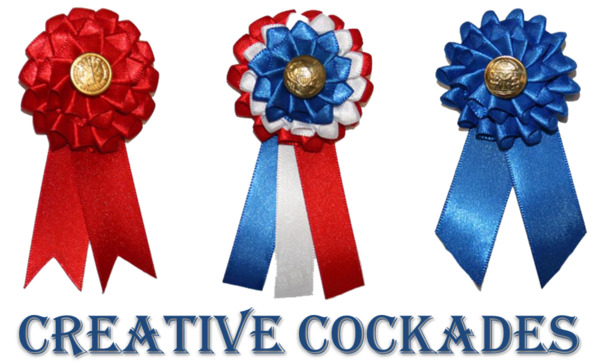 Lads and lassies, wear your white cockades! 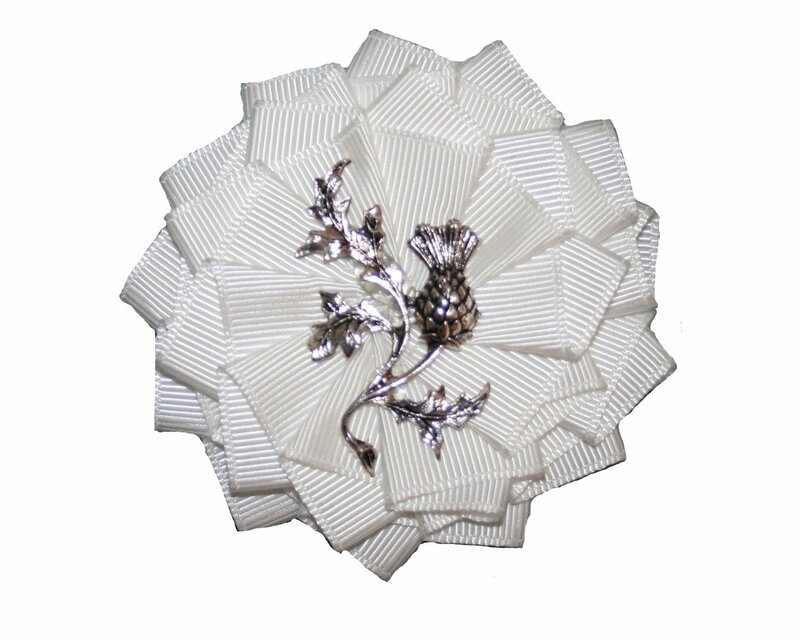 This beautiful white grosgrain cockade is hand-sewn with a striking silver thistle in the center. Attaches with a sterling silver plated pin on back. Scottish pride has never looked classier! Approximately 3" (7 cm) across rosette . Pin back is 1" (2.5 cm) wide.